December 14th 2012, City Mall, 7:00 p.m. - 9:30 p.m.
Rumah Tebalik 1:30 p.m. - 8 p.m.
Espousing the ethos of Christmas – Hope, Joy, Peace, Goodwill to all men, we are pleased to have the active participation of string orchestras from Sabah Tshung Tsin Secondary School and Kian Kok Middle School and children choir from Song En Methodist Church for this most opportune inaugural Christmas debut on Friday, December 14th 2012 at City Mall from 7:30 p.m. – 9 p.m.
JPO's Outreach Concert will also be shared with elderly and children from Holly Family Residence, Grace Old Folks Home, Rumah Tebalik, on Saturday, December 15th 2012. 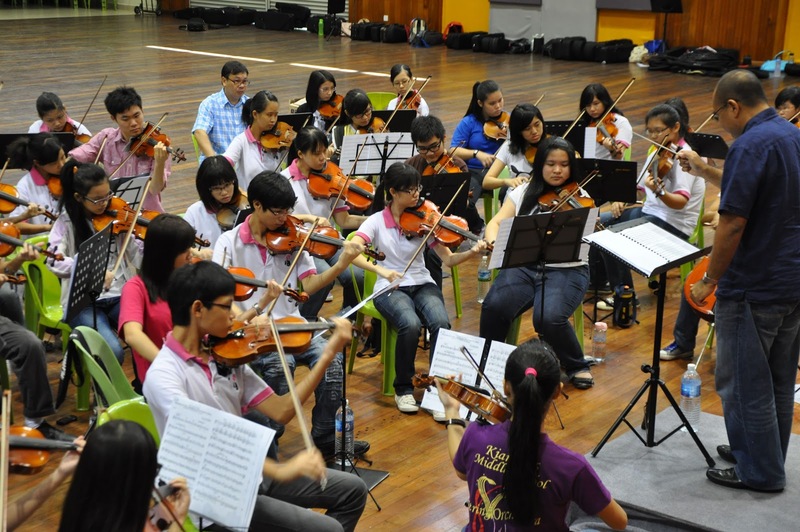 The concert program will also include ensemble and solo performances from Kian Kok String Orchestra ,STTSS String Ensemble and Jesselton Philharmonic Orchestra (JPO) playing music from Baroque, Classical, Romantic up to modern Rock and Pop, ending with invitation to the public to join us for Sing-along Christmas Carols. JPO's Outreach Concert is sponsored by Solomon Investment (HK) PTY LTD and Rumah Tebalik/Mr Alex Yee.